For this week's Summer Sampler 2018 block, I found myself switching stitch lengths over and over. It was 1.4 for the paper-piecing, 2.0 for the seams, and up to 4.0 for test-construction. Do you know that little trick where you sew/baste a few long stitches over those intersections that are tricky to match up? Then you remove your block from your machine and check how well you did. If great, then move the length back to 2.0 and stitch the seam. But if not, just do a little tug to remove the stitches and try again. That technique helped SO much with this block, as there were many places that needed matching. 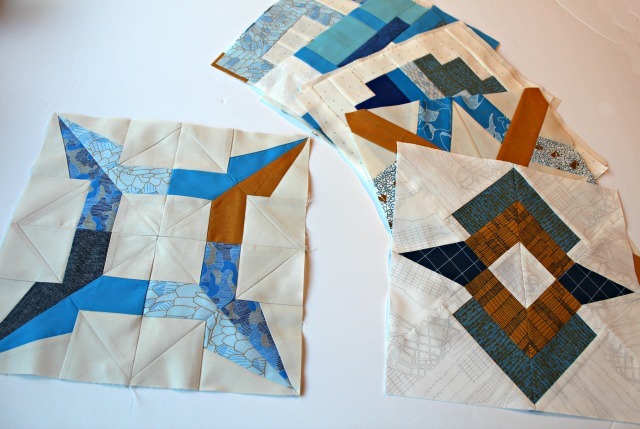 The block was designed by Faith/Fresh Lemons Quilts, inspired by the aerial view of Castillo de San Marcos in St. Augustine, Florida. Is it bad that I'd never heard of it? Well it's the only 17-century fort in North America. And appropriately so, discovery is one of the best things about a road trip, don't you think? The block is beautiful and thanks SO much for the tip. My components are all finished and I've been debating whether to remove the paper before or after assembly but never thought of using a basting stitch to test the intersections. I know the trick to increase stitch length, but the better question is do I do it (answer: almost never, ha!). Oh, loving these blocks, Debbie! 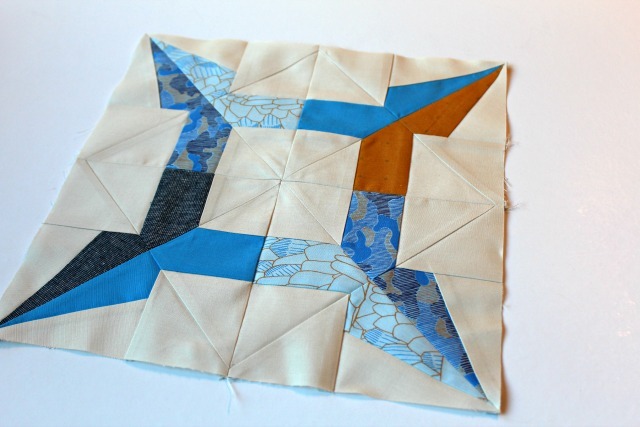 Your piecing and fabric choices are awesome!